The Merriam-Webster Dictionary has been around since 1828 and still adding new words to the books. Check out these new terms that were just recently added. GOAT: Greatest Of All Time. HANGRY: Irritable or angry because of hunger. ADORBS: Extremely charming or appealing. ZOODLES: A long, thin strip of zucchini that resembles a string or narrow ribbon of pasta. AIRPLANE MODE: An operating mode for an electronic device (such as a mobile phone) in which the device does not connect to wireless networks and cannot send or receive communications. GUAC: Pureed or mashed avocado seasoned with condiments. CBD: A nonintoxicating cannabinoid found in cannabis and hemp. INSTAGRAMMING: To post (a picture) to the Instagram photo-sharing service. BINGEABLE: Having multiple episodes or parts that can be watched in rapid succession. LATINX: A gender-neutral alternative to Latina and Latino. BARN BURNER: A wooden match that can be struck on any surface. Mainly in Pennsylvania, southern New Jersey and Maryland. FARMER MATCH: A wooden match that can be struck on any surface. Mainly in the upper Midwest, Great Lakes region, New York, and West Virginia. BAT HIDE: A dollar bill. Mainly in the Southwest. BONNYCLABBER: Think, sour milk. Mainly in the north Atlantic. COUNTERPIN: A bedspread. Mainly in the South and south mid-America. CROKER SACK: A burlap bag. Mainly in the Gulf states, south Atlantic. TOW SACK: A burlap bag. Mainly in the South, south midland, Texas and Oklahoma regions. CUP TOWEL: A dish towel. Mainly used in Texas, inland south region. DISH WIPER: A dish towel. Mainly used in New England. DADDOCK: Rotten wood, a rotten log. Used mainly in New England. DOZY: Bunch of decaying wood. Mainly used in the Northeast, especially Maine. DROPPED EGG: A Poached egg. Mainly used in New England. EAR SCREW: An earring. Mainly used in the Gulf states, lower Mississippi valley. EMPTINS: Homemade yeast used as starter in bread. Mainly used in New England, upstate New York. FLEECH: To coax, wheedle, flatter. Mainly used in the South Atlantic. FOGO: An offensive smell. Mainly used in New England. FROG STRANGLER: A heavy rain. Mainly used in the South, south midland. GOOSE DROWNDER: A heavy rain. Mainly used in the midland. TRASH MOVER: A heavy rain. Used mainly in the mid-Atlantic, south Atlantic. I VUM: I swear. I declare. Mainly used in New England. LARBO: A type of candy made of maple syrup on snow. Mainly used in New Hampshire. LAST BUTTON ON GABE'S COAT: The last bit of food. Mainly used in the south, south midland. 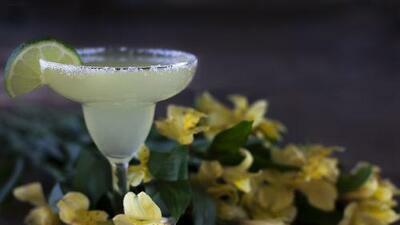 MARG: A cocktail consisting of tequila, lime or lemon juice, an an orange-flavored liqueur.